Last week, I had the chance to catch up with Stacey Lawson, president and CEO of leading PACE funding provider, Ygrene Energy Fund. She had just wrapped up telling an audience at San Francisco’s Cleantech Forum about her company and had a little time to talk before heading to Washington, DC to speak with the White House about PACE programs. Needless to say, I had a lot to ask about how Ygrene has thrived in such a controversial sector of the greentech industry. Property assessed clean energy (PACE) funding is a way for commercial and residential property owners to fund up-front costs of energy improvements. The cost of adding solar panels, updating HVAC systems, and doing other energy upgrades is paid for by a company like Ygrene and secured by the property itself instead of the property owner. Current and future owners pay back the cost of improvements over a set time period — typically 10 to 20 years — as an addition to their property tax bills. This means repayment may be tax-deductible. The program is credited with helping property owners save money on their bills, creating new jobs, and helping governments meet their environmental goals, but some have voiced concerns. In a recent Green Building Elements article, author Stephen Hanley told the story of Sancho Lopez, a Riverside police officer and homeowner in southern California. He financed the $40,000 cost of 21 dual-pane, energy-efficient windows and two sliding doors with a PACE loan and then decided to sell his house. It wasn’t easy. His home sat on the market for 10 months and only sold once Lopez agreed to pay $46,000 for the upgrades, interest, and fees. “I wouldn’t ever do it again,” Lopez said of the PACE program he used to pay for windows. The reason Lopez had a hard time selling his home was because banks didn’t want to give prospective buyers a loan to purchase it. In 2010, the Federal Housing Finance Agency (FHFA) warned Fannie Mae and Freddie Mac not to underwrite mortgages for PACE residential customers. The Agency was concerned that mortgage lenders assumed too much risk if a buyer defaulted because the PACE loan took precedence over the mortgage. While companies providing residential PACE loans struggled in the face of FHFA opposition, Ygrene lined up $20 million in investment for its commercial PACE projects. It also set up a program, backed by Department of Energy stimulus funding, aimed at subsidizing energy-efficient audits, so property owners could see how much energy they’re wasting. Their work paid off. Ygrene’s emphasis on education has also allowed it to advance PACE-funded residential projects. They help homeowners with Fannie and Freddie-backed mortgages understand that they aren’t really banned from participating in the program; they only have to pay off the loan if they move or refinance. 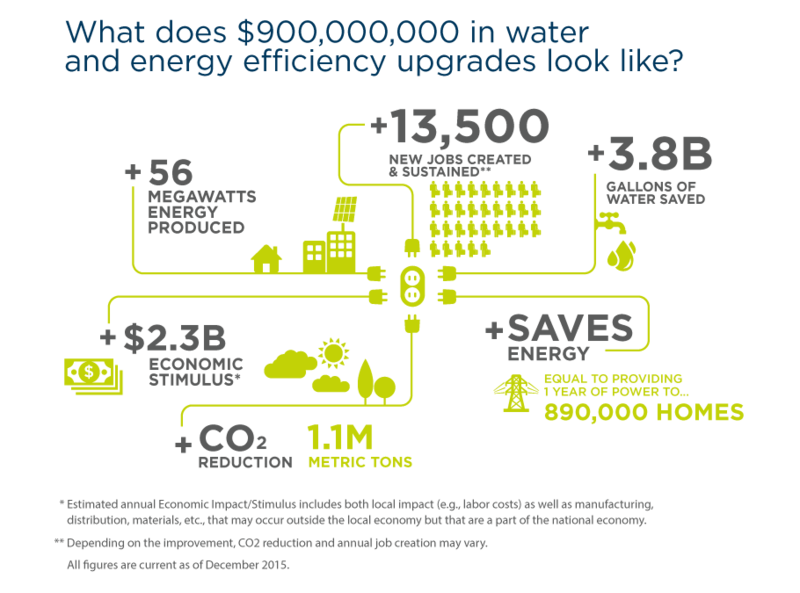 And the energy savings homeowners accrue after a retrofit can make up for that payment. Ygrene also educates mortgage lenders “quite a bit,” according to Lawson. She told me energy retrofits improve the collateral value of the property and improve the cash flow of the borrower. Plus in California, Governor Brown set up a reserve fund that’s made it so no mortgage lender has claimed a loss on a PACE-funded project. The education is improving the residential program. “When homeowners are selling their homes using Ygrene it’s transferring elegantly,” Lawson said. When the United States committed to lowering its carbon emissions after the United Nations conference, President Obama stated PACE is a policy the government broadly supports. The environment for PACE providers is becoming more hospitable, and Lawson will work with the White House to make sure that environment remains. We’ll see more from Ygrene in the future. Their political know-how will enable it to expand its commercial and residential programs into more states. Those will expand in scope, so that owners can do energy, hurricane, and seismic retrofits. Ygrene will grow its network of contractors and work its solar offerings into lease and PPA structures. In short, it will boldly go where no PACE provider has gone.